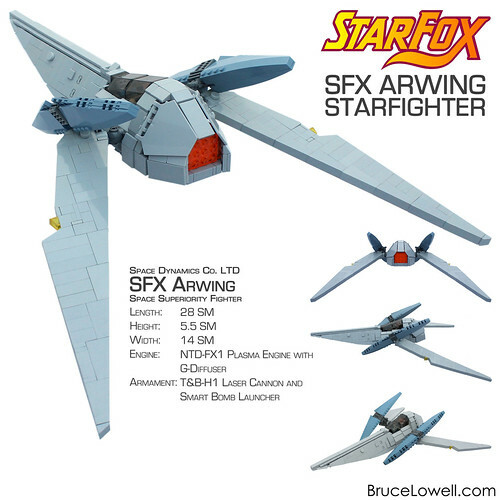 The SFX Arwing is the signature starfighter from the original Star Fox video game for the Super Nintendo. 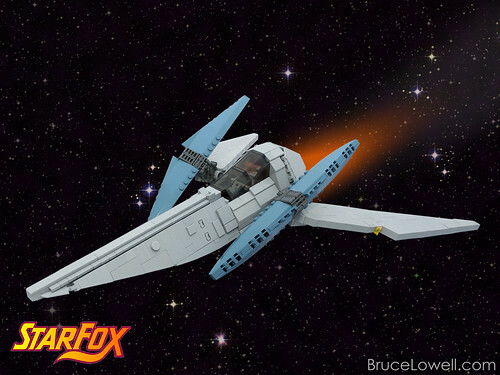 I think the design of the Arwing has been updated for each subsequent game, but the SFX has hed a special place in my heart since I first played the game during a tournament weekend at Toys R Us back in 1993 and received a lapel pin as a reward for my (less than) stellar flying. I’ve wanted to make an arwing using the sand blue 3×12 wedge slopes for the g-diffusers since the part first became available in 2004, but only last year got around to buying enough and building the g-diffusers. Once I saw the Furty Fox figure from the Chima line, I knew I had to finish the whole starfighter. I’m really happy with how the whole thing turned out, especially the whole back end (using the large flags), the point of the nose, and the canopy design (which is borrowed in essence from my V-Wing Airspeeder). 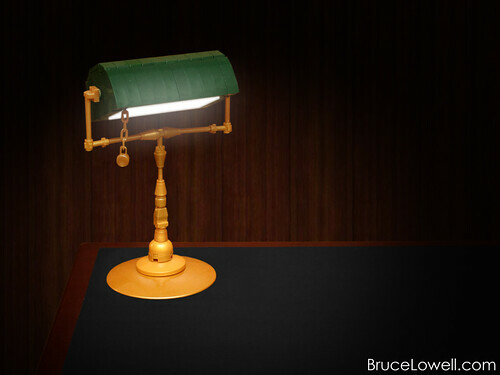 The classic banker’s lamp is an iconic piece to add some class to any desktop. I think it nicely complements my antique globe. I have a hole on the back of the lamp shade which allows in a string of LEDs. This is the third of three sculptures commissioned by the Nicholas Conservatory & Gardens in Rockford, IL for their Bricktober event. I did a live build of the butterfly Oct 26-27 at the Conservatory. 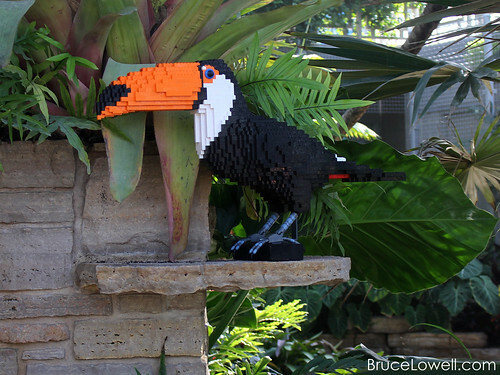 Like the butterfly and toucan, this has an internal steel frame. It bolts into the base of the stem, and can be mounted from there. The flower is about 31″ in diameter. 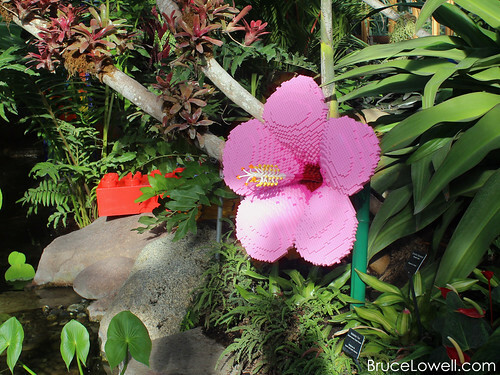 My favorite part of this build was detailing the pistil of the hibiscus. This is the second of three sculptures commissioned by the Nicholas Conservatory & Gardens in Rockford, IL for their Bricktober event. I did a live build of the butterfly Oct 26-27 at the Conservatory. Like the butterfly, this has an internal steel frame. It bolts into the bottom frame on which the feet rest. The bird is about 31″ from bill to tail. I really enjoyed working on the legs and feet. Toco toucans have iridescent legs, and I think the mixture of dark grey and sand blue gets the effect across. I don’t get to use sand blue enough, and luckily I was able to build this with the limited palette available. 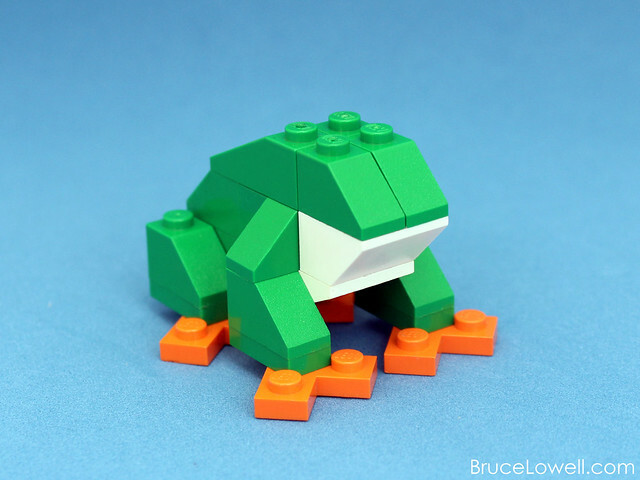 This sculpture was one of three commissioned by the Nicholas Conservatory & Gardens in Rockford, IL for their Bricktober event. I did a live build of the butterfly Oct 26-27 at the Conservatory. 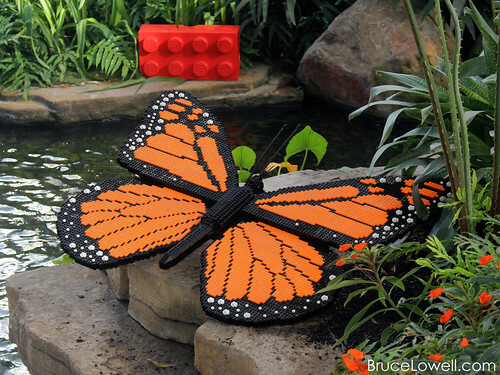 The butterfly body houses the main steel frame which six steel rods fit through to support the wings. 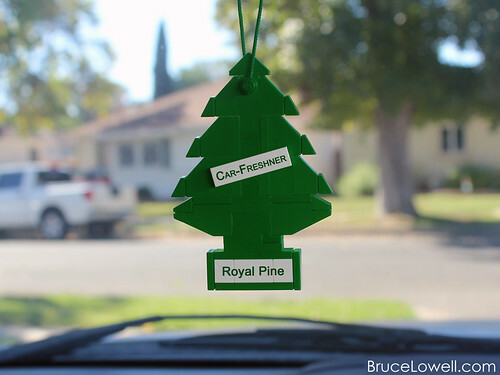 The frame is also threaded for a stand or feet. The wingspan is about 38″. 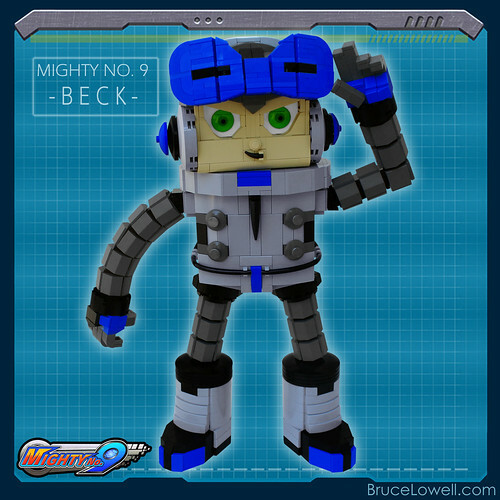 The proboscis is made from a monkey tail which only appeared in the set 4094 Motor Movers. 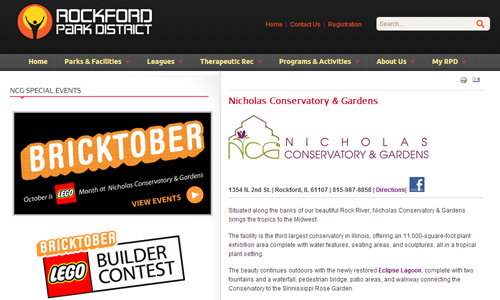 I’ll be at the Nicholas Conservatory & Gardens this weekend for a live build event. 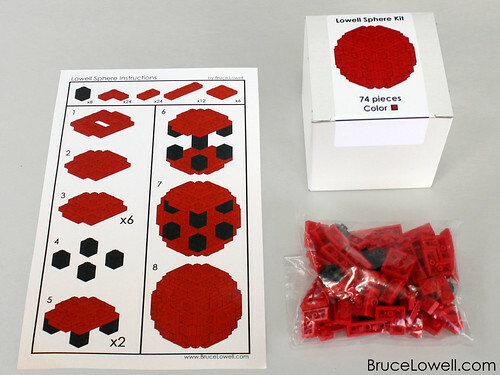 I’ll be building a LEGO butterfly from 10:00am-3:00pm on Saturday and Sunday. I also built two more sculptures for the Conservatory, which are already on site but will be making their debut here in the next few days. The Conservatory is located at 1354 N. 2nd St. Rockford, IL 61107. Visit their website for more info and for tickets! This is a commissioned kit I made for the Nicholas Conservatory and Gardens. It will be sold at the NCG gift shop during the month of October, during which I’ll also be doing a live build event (Oct 26-27)!